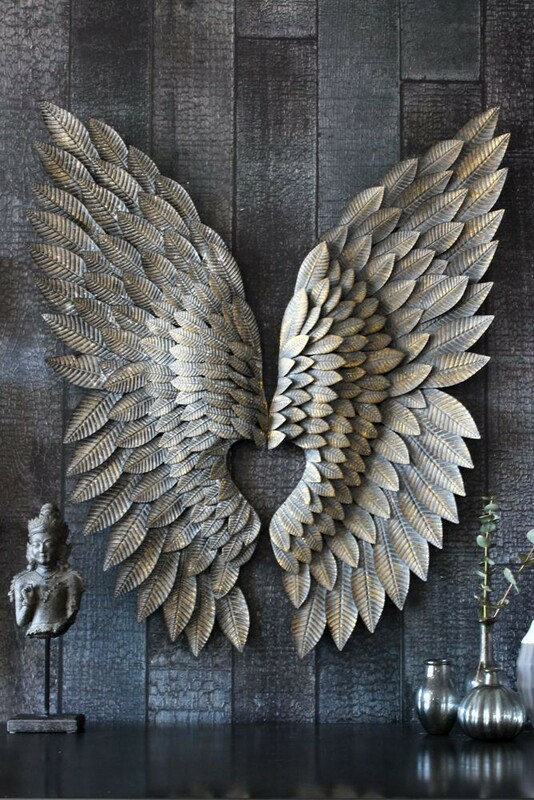 Use these Feather Effect Metallic Wings as a fabulous alternative to traditional wall art. Hang them above your fireplace, bed or in a child's room for an angelic touch! The Feather Effect Metallic Wings are constructed from individual metal feathers on a wire frame. Finished with a hand painted grey wash finish, each of the metallic wings are slightly unique. 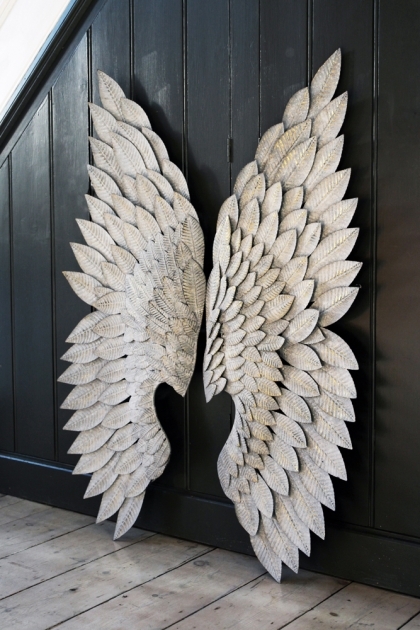 Please note: These wings are constructed from metal and may contain sharp edges. Please take care if hanging them in a children's room.